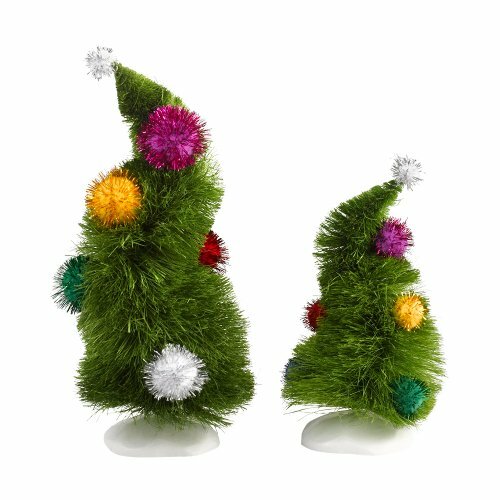 Save 1% on the Department 56 Grinch Villages Wonky Trees (Set of 2) by Department 56 at Two Clock. MPN: 4032417. Hurry! Limited time offer. Offer valid only while supplies last. The Grinch Series, by Department 56 - a collection based on Dr. Seuss's wacky and wonderful classic picture book, How the Grinch Stole Christmas. The Grinch Series, by Department 56 - a collection based on Dr. Seuss's wacky and wonderful classic picture book, How the Grinch Stole Christmas. Wonky Trees, Set of 2, a perfect compliment to your Grinch display. set of 2, Sisal.